I think we need to sit back and take in our recent achievements in the renewable energy sector. Whilst we still have a long way to go, there is no doubt in the amount of progress which has been made. Within the EU 86% of new capacity came from renewable sources in 2016 building on the 79% listed in 2014. This also looks like a trend set to continue as the world wakes up to the environmental and economic benefits of renewable investment. Whilst innovation and technology is driving the sector and increasing the efficiency of new renewable generation units, as well as bringing down the planning and installation costs. Many are looking for extra support and incentives from politically leadership who they feel may be less invested in the renewable targets than in previous years. 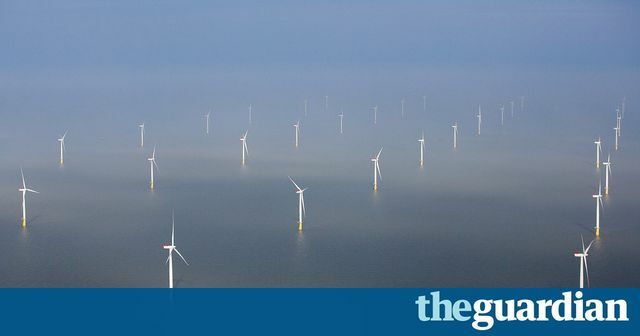 Renewable energy sources made up nearly nine-tenths of new power added to Europe’s electricity grids last year, in a sign of the continent’s rapid shift away from fossil fuels. But industry leaders said they were worried about the lack of political support beyond 2020, when binding EU renewable energy targets end. Of the 24.5GW of new capacity built across the EU in 2016, 21.1GW – or 86% – was from wind, solar, biomass and hydro, eclipsing the previous high-water mark of 79% in 2014. For the first time windfarms accounted for more than half of the capacity installed, the data from trade body WindEurope showed. Wind power overtook coal to become the EU’s second largest form of power capacity after gas, though due to the technology’s intermittent nature, coal still meets more of the bloc’s electricity demand. Almost 90% of new power in Europe from renewable sources in 2016 https://t.co/SUkvdPgyEp #itstimetochange #climatechange Join @ZEROCO2_ ..